7 avr ’10 Filed under MiG-21. Tagged 3d, Maya, MiG, MiG-21. Bookmark the permalink. 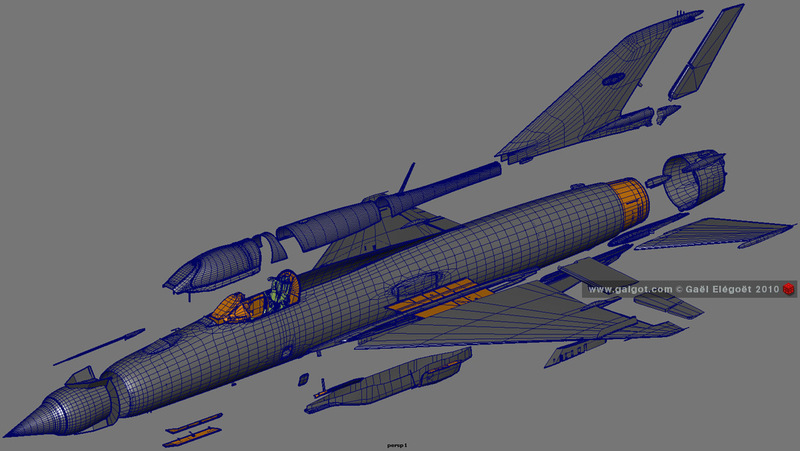 And here a screen showing smoothed Fuselage parts, canopy, fin… Wings are left unsmoothed. For my Mirage. 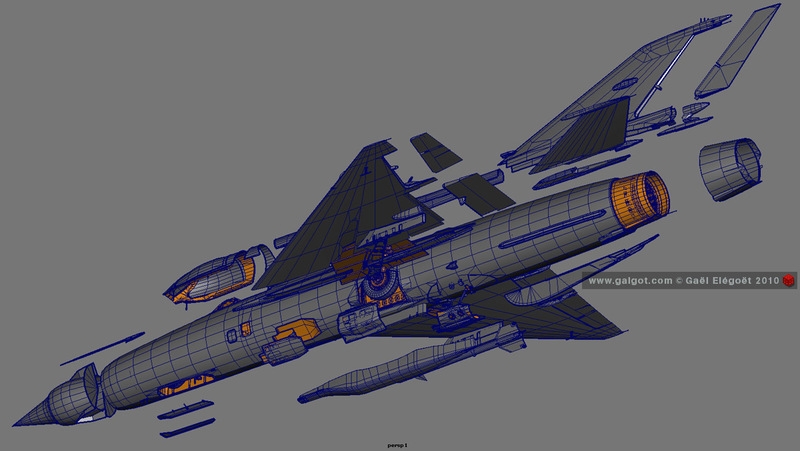 MiG-21FL or early PFM (Type 77) Nmr 5081 of Egyptian Air Force in the 70′s, for future fighting renders.